Before writing about our dim sum lunch at Crystal Jade Paragon Chinese restaurant, I should say that “darkness” is not used here with any negative connotations. Rather, I am referring simply to the low degree of luminosity at this restaurant which makes it such a welcome change from the usual bright flat lighting in typical Chinese restaurants. As you can see this is a beautiful Chinese restaurant located in the Paragon mall in the centre of the Orchard Road shopping area. The chandeliers lend an air of elegance to this dining destination. Do not be put off by its grand setting as its menu is wide ranging enough to cater to a wide spectrum of budgets. We had a selection of dim sum items for lunch. 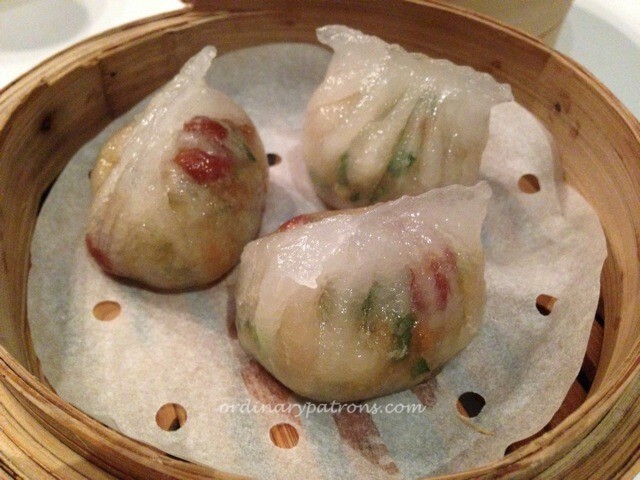 We started with two steamed items – the teochew dumpling ($4.80) contains quite a number of ingredients such as radish, peanut and mushroom within its small volume. A nice crunchy yet juicy combination. 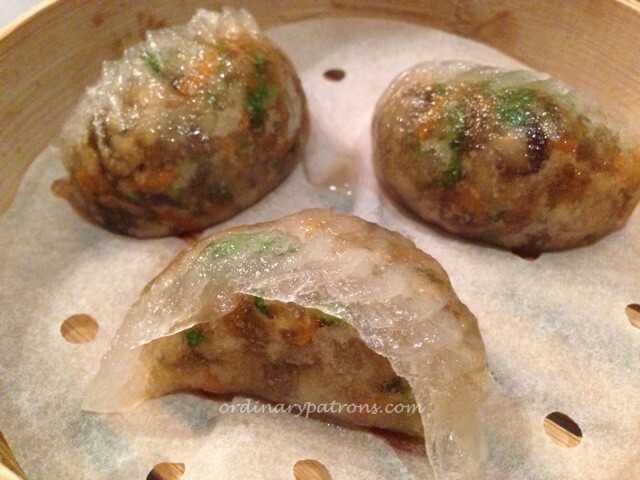 The crystal dumpling ($5) contains vegetables, preserved olive and parsley. We like these two for their well made skins which were thin, translucent and chewy. 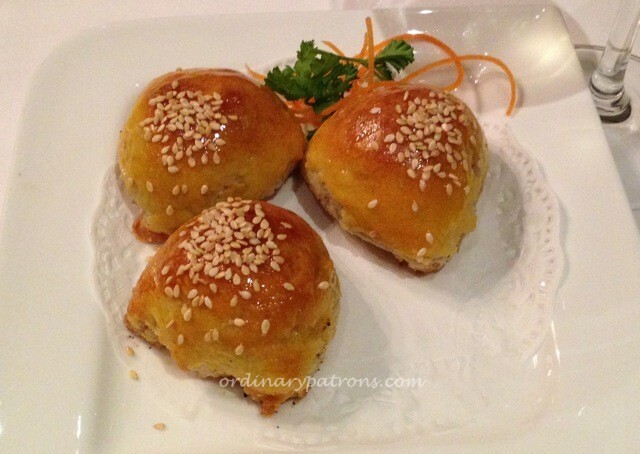 The char siew soh (baked honey BBQ pork in pastry) ($5) is a must try as we think it is arguably the best in town. The char siew is well made and covered with the flakey pastry which is light and not too oily. We decided to venture out of our comfort zone (as we seem to order the same dim sum dishes all the time) and tried out two items for the first time. 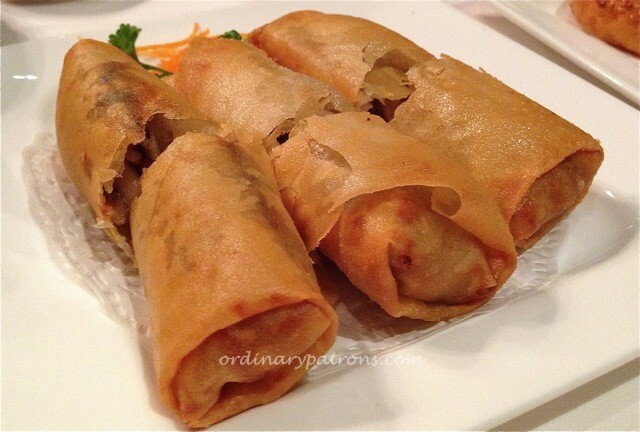 The deep fried spring roll ($5.30) had skin which we thought was too heavy and was quite average overall. The pan-fried bun ($6) with crabmeat was a disappointment as we did not really find the crabmeat. Overall, it was an enjoyable meal in a grand setting. Next time we should stick to the usual dim sum staples which this place is known for. 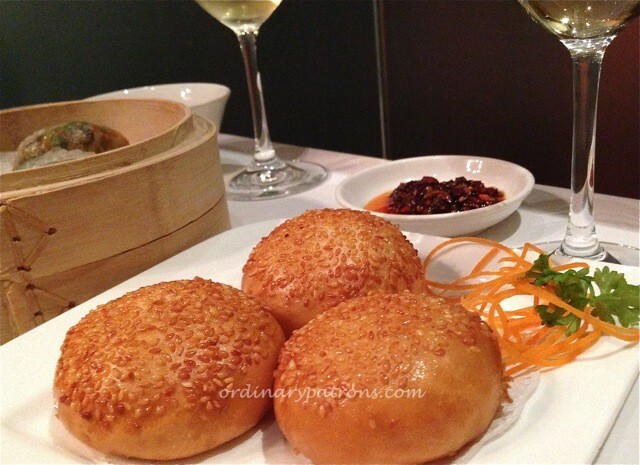 The Crystal Jade Paragon Chinese restaurant is very popular so reservations are advised, especially on weekends.